I made this Ragveil farming guide to help out players who want to farm the herbs instead of buying them from the Auction House. 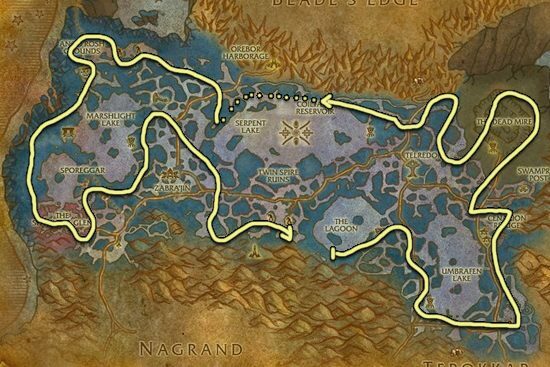 Best zone to farm Ragveil is Zangarmarsh because it's the only zone where you can get this herb. The respawn rate of this herbs is not that fast, so I recommend you to pick up every other herb while farming. The zone is not that big, you will do a full lap pretty fast and if you only pick up Ragveil, you will have to wait for respawns.